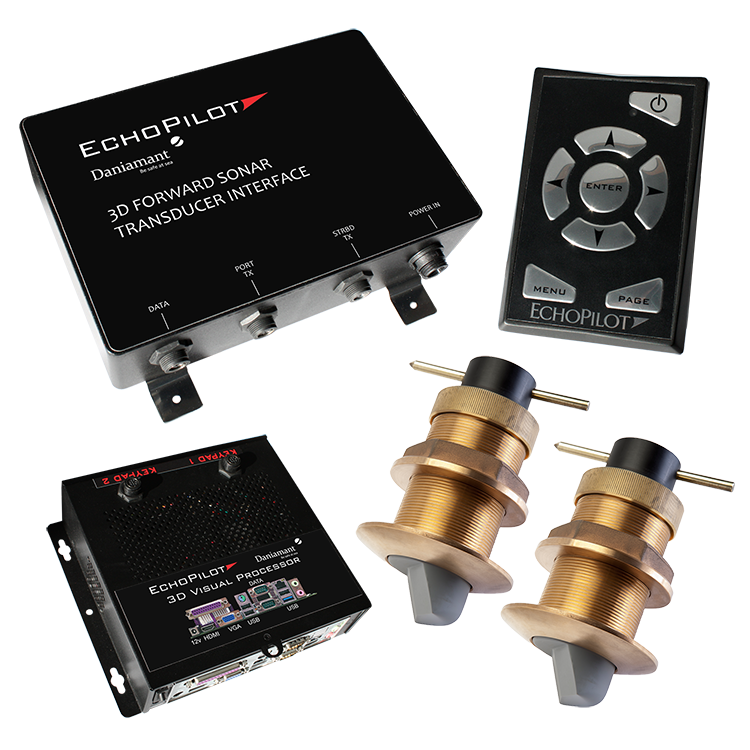 EchoPilot Forward Looking Sonars operate at 200 kHz which will interfere / be interfered with other sounders operation at the same frequency. 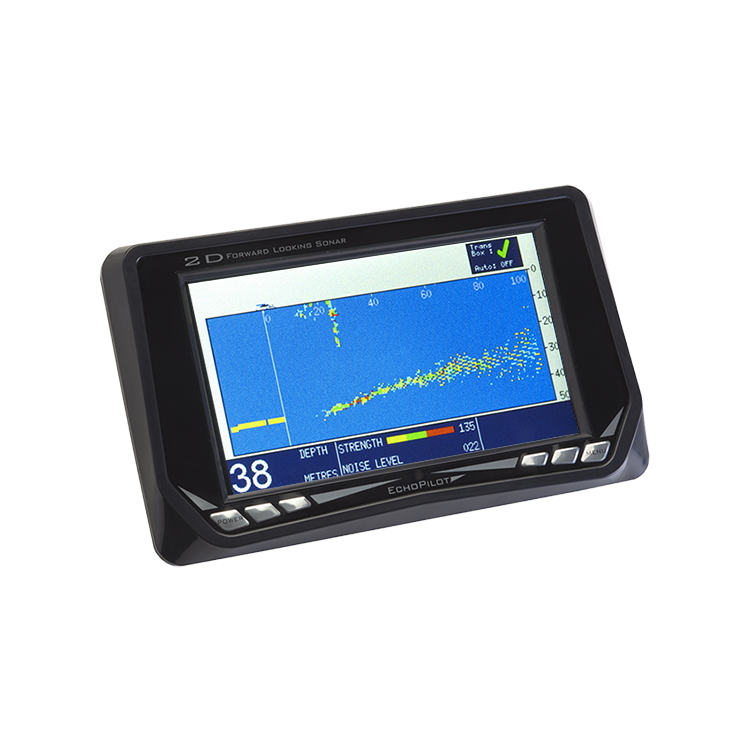 Ensure other equipment e.g., Chartplotter / Fishfinder combos. Can be disabled while operating the EchoPilot. The forward range of the FLS 2D and Platinum Engine is typically 10 times the water depth, e.g., in 10 meters of water the FLS displays about 100 meters forward. The FLS 3D is typically 20 times the water depth, e.g., in 10 meters of water the FLS displays about 200 meters forward. FLS produce accurate readings with water depths down to 1 foot. 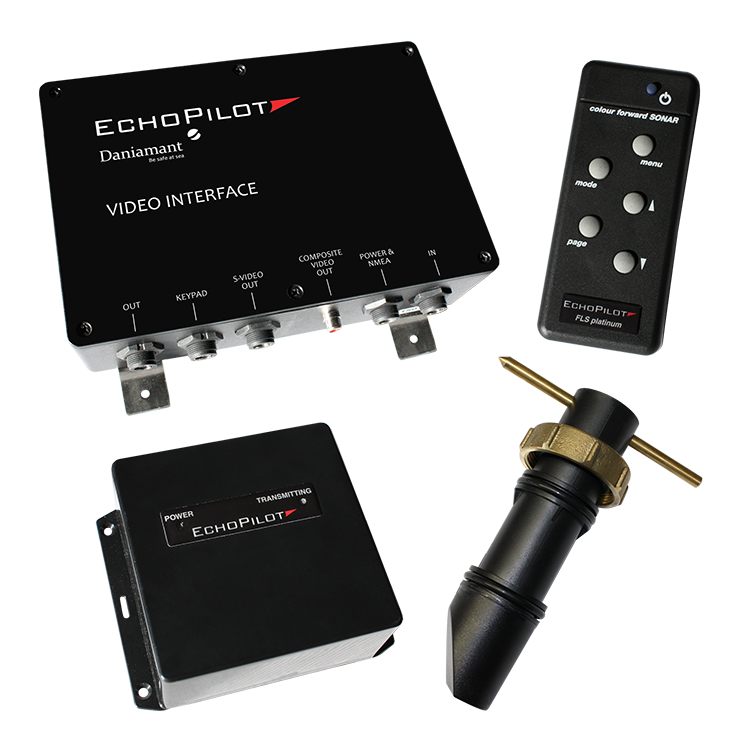 Optimal performance of the EchoPilot is at speeds up to about 20 knots. FLS transducers are supplied with flush mount, bronze through-hull fittings. FLS-3D and 2D transducer installation may require site fabrication of fairing blocks to properly mount the transducer.